Most people are taught that petroleum was formed in the Earth over the course of millions of years, made out of the remains of plankton, plants, and other living things that died. This explanation is stated matter-of-factly on American government and educational websites. This theory of oil formation is, however, exactly that—a theory. And there is an opposing theory that also has some substantial evidence to back it up. Much as the idea of organic origin (biotic origin) is held as common knowledge in the United States, the idea of inorganic origin (abiotic origin) has long been accepted among post-Soviet scientists as the most likely explanation. Some American scientists have also jumped on the abiotic train, scorned as it may be by the majority of their peers. Where Did All That Dead Stuff Come From? When a plant or animal dies, very little of its matter is buried. Nature recycles—some of nature’s greatest recyclers are insects, micro-organisms, fungi, and bacteria. Has enough organic matter really been buried in the Earth to create trillions of barrels of oil? According to the biotic theory, that organic matter must also fit within the “oil window” before becoming oil. The oil window refers to a set of conditions, including reaching a particular depth (1 to 2.5 miles) at which the temperature is right (140 to 300 degrees Fahrenheit) for oil production. Proponents of the alternative, abiotic theory, say oil may instead be a primordial material that comes up from the Earth’s depths through fissures. 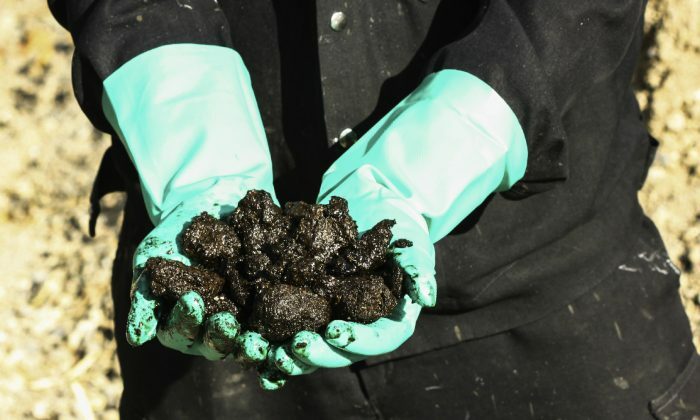 They say oil could be formed independently of organic material through chemical processes, much like methane, which is found on asteroids and in other barren environments. Skeptics say methane is a more simple substance than petroleum; the process of forming the hydrocarbons in petroleum is more complex and the same logic as is used for methane does not necessarily apply. 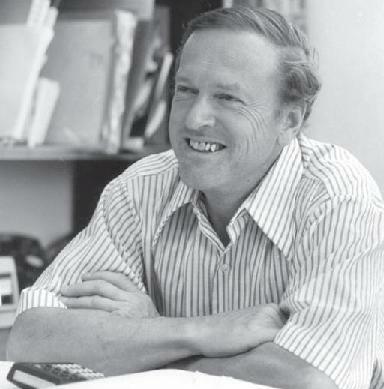 Thomas Gold of New York’s Cornell University, who died in 2004, was a vocal advocate for abiotic theory. He advised a team that drilled in central Sweden in the late 1980s and early 1990s. The site, known as the Siljan Ring, would have been seen as unpromising to say the least by surveyors working from a biotic theory perspective. Conventional oil exploration sticks to sedimentary basins. It is believed that plankton would sink to the bottom of bodies of water when they died and were buried in sediments. These sediments would get forced down over time until they reached the right conditions, the oil window. The Siljan Ring, on the other hand, was not rich in sediments. What sediments were there, said Gold, were no deeper than 1,000 feet (300 meters), while the drilling was done at a depth of 3 to 7 miles (5 to 7 kilometers). Albeit the drilling did not find the “gas field of world class dimensions” Gold predicted. It found 80 barrels of oil, which was enough for Gold to feel vindicated and enough to make some scientists consider the matter. Of course, conventional drilling also doesn’t strike it rich every time surveyors think an area looks promising. Krayushkin said: “The eleven major and one giant oil and gas fields here described have been discovered in a region which had, forty years ago, been condemned as possessing no potential for petroleum production. The exploration for these fields was conducted entirely according to the perspective of the modern Russian-Ukrainian theory of abyssal, abiotic petroleum origins. On Eugene Island in 1995, it seemed the oil fields were—perplexingly—refilling themselves after depleting. The findings of Dr. Jean K. Whelan, part of a U.S. Department of Energy exploration program, seem to support to the abiotic theory. She found that the oil likely came from great depths, as the abiotic proponents would suggest. Whelan supported Gold’s theory about microbes that eat the oil. Gold said that the biological matter found in oil can be explained by microbes that eat the oil at great depths. Whelan, like Gold, met with skepticism. One of the major arguments against abiotic theory is that oil migrates with water in the ground, thus explaining oil found in places that might be unexpected, places without sedimentary rock. This is also how some skeptics explain the weird uniformity of oil found in different types of rock formations of different ages. It comes from the same source rocks and seeps to other places, they say. Petroleum engineer and consultant Jean H. Laherrère wrote a detailed refutation of Gold’s arguments point-by-point. Gold had already died, so he was unable to respond, though Laherrère said Gold was surely aware of these points while he did his research. For some of Gold’s points, Laherrère provides alternate explanations rather than directly disproving them. Sometimes he seems to take Gold’s comments out of context or treat them as standalone arguments for abiotic theory. The paper does highlight, however, the two sides of the argument. Many of his responses boil down to the argument that the oil may have migrated from sedimentary rock to the locations where it was discovered by researchers using the abiotic theory. The presence of certain metals and helium in petroleum are also explained differently by the two sides. Since oil takes millions of years to form and no one has witnessed it first hand, whatever evidence may be presented on either side, it is difficult to say with absolute certainty how the oil got there. If the abiotic theory proves correct, it could have great implications for the energy industry. If oil is produced in such a way that the process can be replicated, this “fossil fuel” may become a renewable energy source. His theories about the human ear’s mechanisms for hearing, about the nature of pulsars in space, and about the existence of fine rock powder on the moon were all scoffed at for decades before he was vindicated and they became widely accepted. Subsidies help lead to environmental pollution and distorted economies. Flexing its environmental muscles, San Francisco is urging the city’s pension funds to immediately stop investing in fossil fuel companies.